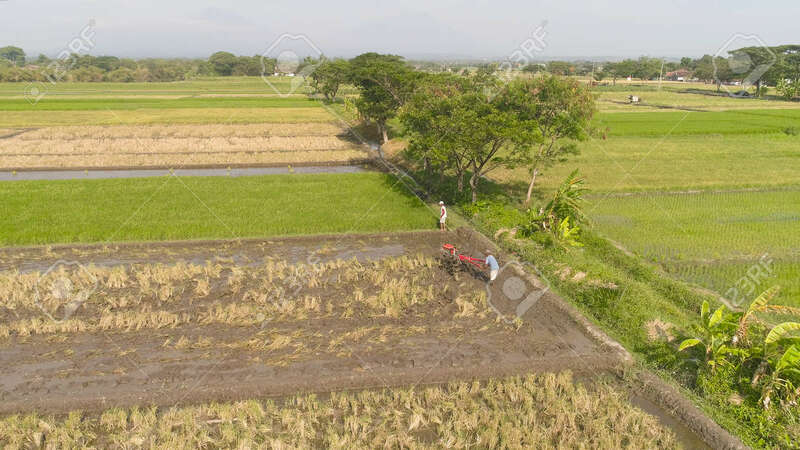 Farmer Working In Rice Plantation Using Tiller Tractor. Aerial View Paddy Farmer Prepares The Land Planting Rice. Farmland With Agricultural Crops In Rural Areas Java Indonesia Lizenzfreie Fotos, Bilder Und Stock Fotografie. Image 115259697.